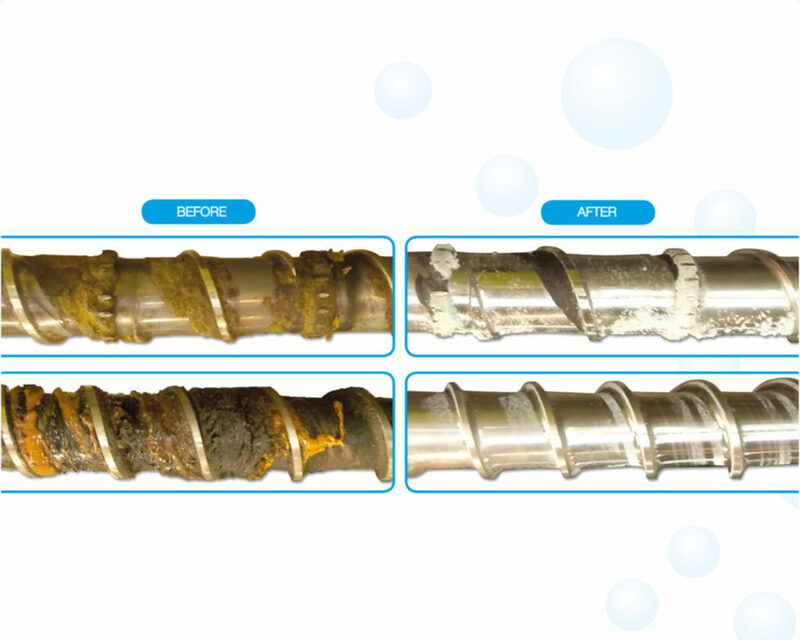 Aquapurge’s next generation BBU scrubber works first time, every time. BBU thrives on problem materials or processes; high to low temperature changes, heat sensitive materials (PVC, POM, PBT, Flame retardant additives), metalizing ABS or PA, and high temperature materials. Don’t believe us? Simply pull the screw before and after BBU treatment. Still don’t believe us? 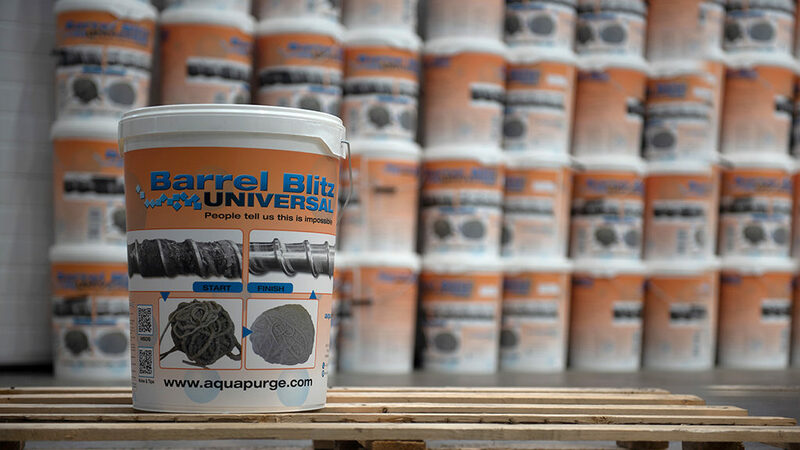 Use your current purging compound – and then purge with Barrel Blitz Universal. Meet a member of our team and learn more about Barrel Blitz Universal products!